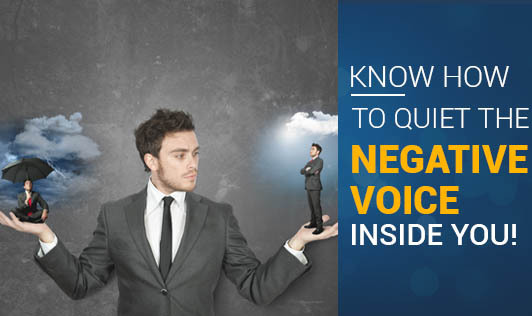 Know How To Quiet The Negative Voice Inside You! Negativity limits you and steals valuable energy from you, making you feel bad and keeps you from accomplishing your dreams. In a world that isn't perfect, only positive energy can help you grow into greatness. Negativity sometimes wears a disguise called "reality". Keep in mind that if your version of reality is negative, then you are conditioned to believe that whatever can go wrong will go wrong and whatever can go right will probably go wrong too. The unconsciously held beliefs make you into a negative person without you even being aware of it. By implementing the above, you may feel more positive and notice an increase in your happiness and inner peace!